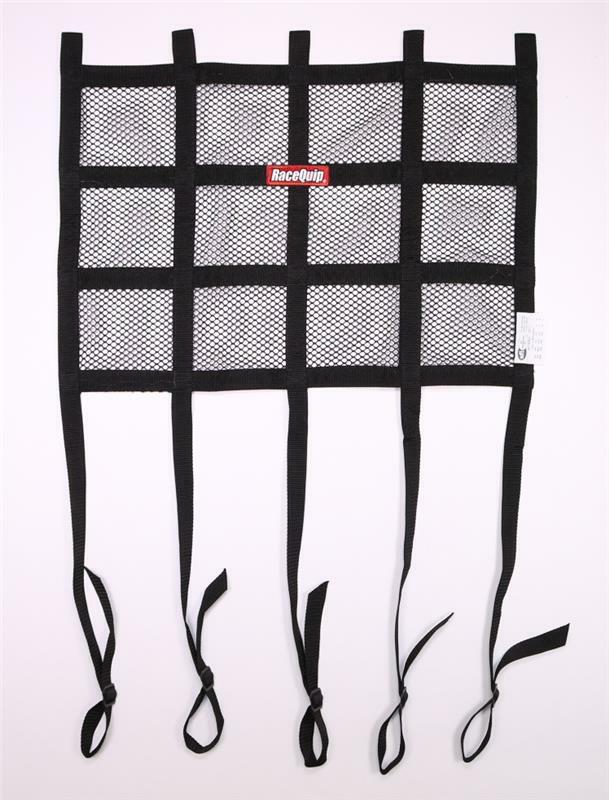 RaceQuip SFI 27.1 Rated Hybrid Window Nets are constructed using a combination of heavy-duty mesh and 1” polypropylene ribbon webbing with nylon thread for maximum durability. RaceQuip utilizes a jig-built construction technique to ensure consistent size, shape, and fit. 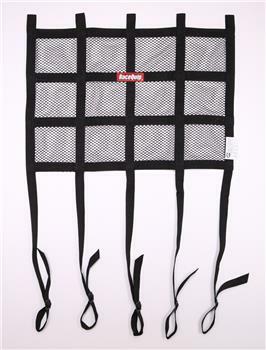 This auto racing roll cage net fits a window size of 15” High X 18” Wide. 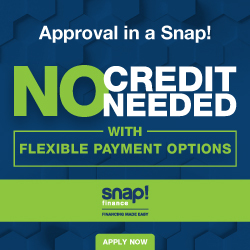 The extra long adjustable bottom straps allow you to mount the net directly to a door bar without the need for a window net mount kit.SFI 27.1 certified and available in black only.